Maybe temperature still fails, however, spring really is well under way now. In the pond everything continues growing. Take care that the filter is still producing a sufficient amount of water and rinse, if necessary, the filter materials or renew the materials. The growing month of May is an ideal period to set new plants. You can still separate lilies now and thin out marsh plants. 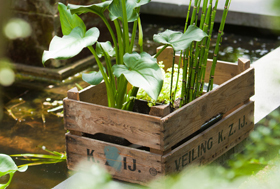 Plant the lily tubers in a suitable plant basket, filled with a nutrient soil that has been composed especially for water lilies. The development of a water lily depends for a great part on the substrate in which the radical tuber has been planted. A clear water surface is important for the absorption of oxygen and for the exchange of an excess amount of CO2. You should also remove surface dirt particles regularly. Good service is rendered here by a surface area exhauster or Pond Skimmer. This skimmer with water pump takes care of a clean and clear water surface, so that your fish are better visible too. Feed your fish liberally now. However, take care that all the feed administered will be finished. It is better to feed a series of small portions a number of times in succession than too much feed in one time. Always use high-grade food. New fish can be planted now. 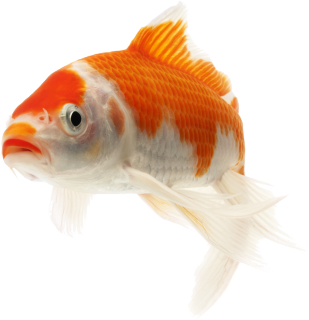 It is wise to keep new fish in a quarantine container first before planting them in the pond water As many as 75 to 80% of death of fish occurs after planting new fish.